The superb follow-up to Eoin Colfer's highly acclaimed Plugged, written with the warmth and wit of his Artemis Fowl series. Dan McEvoy doesn't set out to get into violent confrontations with New Jersey's gangster overlords but he's long since found that once you're on their radar, there's only one way to slip off it. So he's learned his own way to fight back, aiming to outwit rather than kill unless he really has no choice. But when Dan's glam step-gran Edit shows up on the hunt for his dishevelled aunt Evelyn, it quickly becomes clear that family can provide the deadliest threat of all. In a city of gun-happy criminals, bent cops and a tough-talking woman detective whose inspires terror and lust in equal measure, Dan may just have reached the point where sharp wit won't cut the mustard. But can he play the heavies at their own game? I loved this and searched for more books read by Ronan Rafferty.... to find that this is the only one. What I enjoy is that there is lots of action, I engage and am totally on the side of the main character, revel in his cleverness and die hard action attitude. And Ronan R reads brilliantly with a gamut of voices and accents. But mainly because, despite death, terror, mobsters and bereavements, the writing and delivery are laugh out loud Irish dry as sticks funny. I think that the best writing/reading at the moment marries action with humour. This book is one of the best. Next in the series please..... same narrator! Great story told with lots of humour. The second story in the series is every bit as good as the first and has the same wry humour running through it. The plot twists and turns like an eel but everything holds together very well. Do an Rafferty's narration is superb, with nice and, perhaps more important, consistent voice work for each character. What made the experience of listening to Screwed the most enjoyable? Gripping, thrilling with heart and soul. What was one of the most memorable moments of Screwed? What about Ronan Raftery’s performance did you like? Where does Screwed rank among all the audiobooks you’ve listened to so far? Screwed didn't keep me hooked as with some other audio books but I did always want to return to the story. The narrator had a good story telling soft voice. 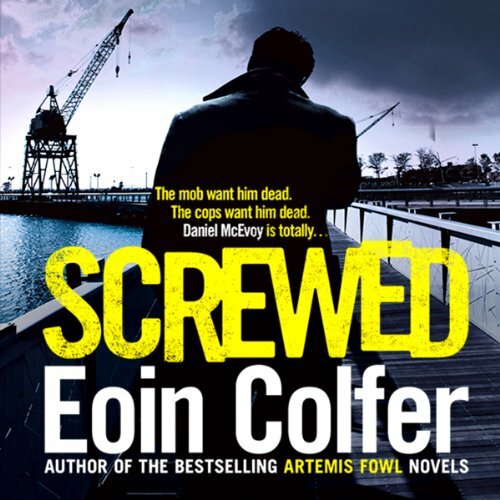 Having read Eion Colfers Artemis Fowl series, I was not expecting this. It took me a while to warm to this. I don't usually do violent on a grand scale. There was humor in the story, enough to keep me listening.